For life and annuity insurers, mergers and acquisitions provide opportunities to increase revenue, enter new markets, and enhance market reach. They also present a long list of challenges. 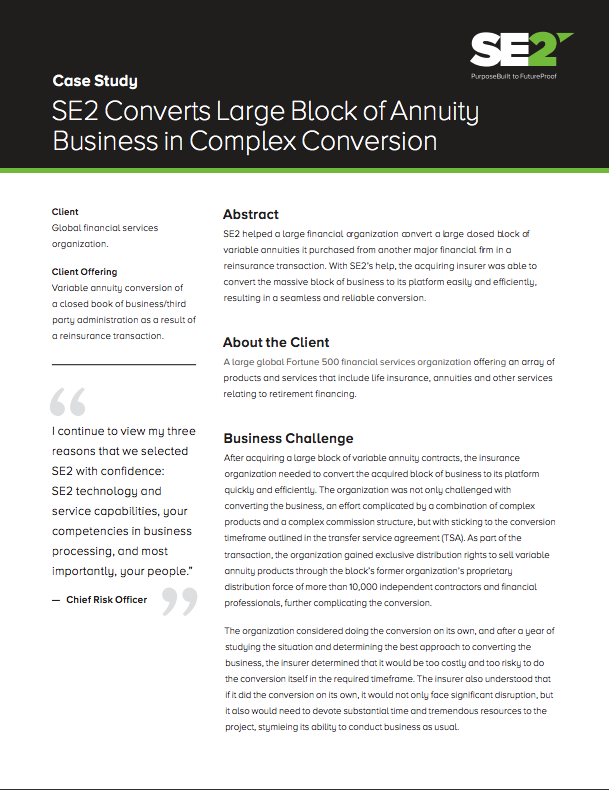 Let SE2 Turn Your Next Merger or Acquisition Into A Success Story. With challenges come opportunities. Let SE2 help you rethink your next merger or acquisition.